Saugerties, NY – June 5, 2017 – HITS is pleased to announce that HITS Culpeper will now offer exhibitors three sections in its Junior/Amateur Jumper Division. The sections, set at 1.20m, 1.30m, and 1.40m, match the USEF Junior/Amateur Jumper Horse of the Year categories, and thus qualify to earn points toward the USEF year-end awards. At the Constitution Classic from August 23-27, HITS Culpeper will host the USHJA Zones III & IV Team Jumper Championships which the USHJA has expanded to include Junior/Amateur Jumper 1.20/1.25m and Junior/Amateur Jumper 1.30/1.35m sections, as well as, the original Children’s/Adult Jumper 1.10/1.15m sections. 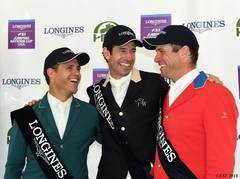 The Championships award $60,000 in total Prize Money and will feature four rounds of competition, which are scheduled over three days in a Nations Cup-style format. 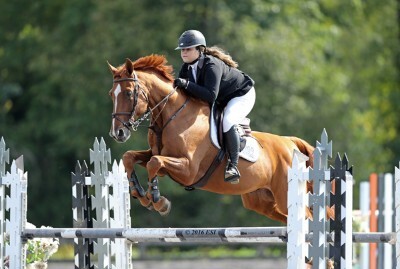 Andrea Torres Guerreiro riding Lily, owned by Santa Catalina Farm. The HITS Culpeper series of horse shows take place at the Commonwealth Park Showgrounds located at 13256 Commonwealth Parkway, in Culpeper just 60-minutes south of Washington D.C. in the heart of Virginia Horses Country.